At our Glasgow base (formerly in Paisley) we deliver our UKDN Waterflow (LG) brand of 24/7 emergency drain repairs to domestic and commercial clients, wherever and whenever we are needed, right across Scotland. With engineers on the road 24/7, we have GPS tracking to locate your nearest UKDN Waterflow (LG) expert. Blocked sinks, toilets, drains — we do it all. Just call 0141 530 1902. The first sign of a problem may just be bad smell coming up the drain. Or it may more serious. Do not panic. Our expert engineers will soon get to the root of the problem, whether it is a broken pipe, blocked drain, sink or toilet. And, since our response team are on the road 24/7, we use GPS tracking to find your nearest available engineer so that help arrives without delay. Solving drainage emergencies is not our only skill. The Glasgow team also offers a full range of drainage solutions. From a general maintenance visit to keep your pipes in good condition, a CCTV survey so you can see what is what below ground, to a pipe repair via excavation or no-dig technology, you know exactly where to come. We even do planned maintenance programmes, for real peace of mind. 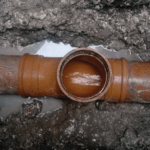 For blocked drains, drain clearance and CCTV drain surveys in the Argyll and Bute, Glasgow, Kilmarnock, Falkirk, Motherwell, Edinburgh, Kirkcaldy and Fife area, UKDN Waterflow (LG) is at your service, 24/7/365. Call us on 0141 530 1902 or fill in the contact form and we will get back to you.